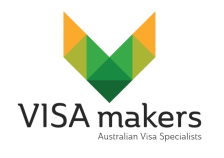 Choosing the right skilled visa can seem difficult with so much information to consider. The first step in the process would be to choose the right occupation to use based on your qualifications and experience. Once the correct occupation has been selected choosing the right skilled visa becomes far easier. The Department of Immigration use a system called SkillSelect to select skilled migrants. SkillSelect is an online database which allows intending migrants to express an interest in applying for a skilled visa. The 'Expression of Interest' or 'EOI' enables you to provide information such as personal information, work experience, study and education and your English level. SkillSelect will then calculate your points score and eligibility to receive an invitation based on a range of factors. Once you receive an invitation you have 60 days in which to apply for the visa. Note that all skilled visa applications should be accompanied by evidence of a positive skills assessment result. Click on the visa buttons below for more information.